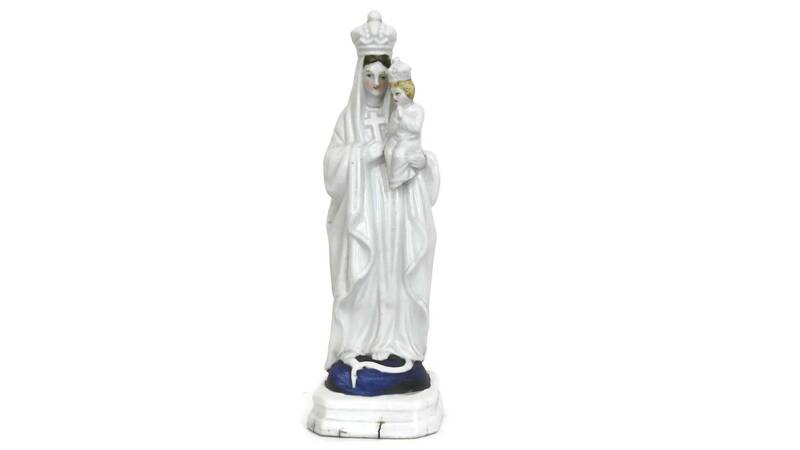 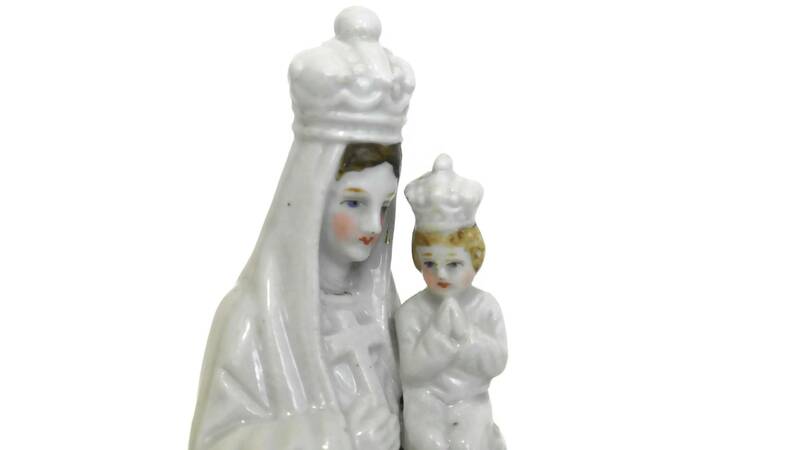 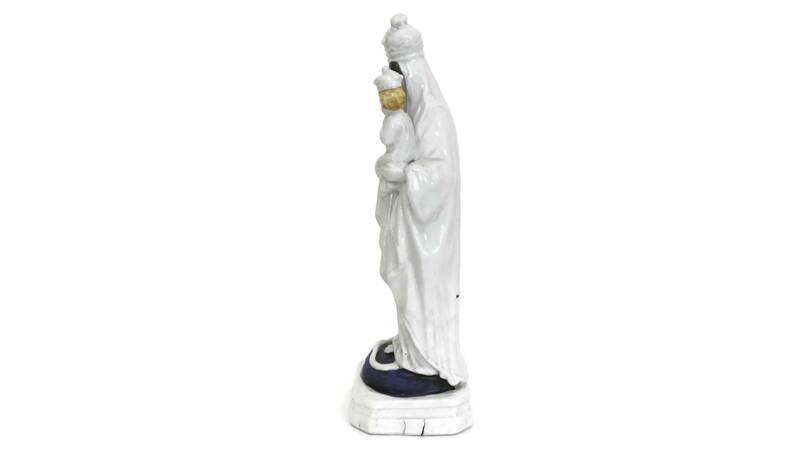 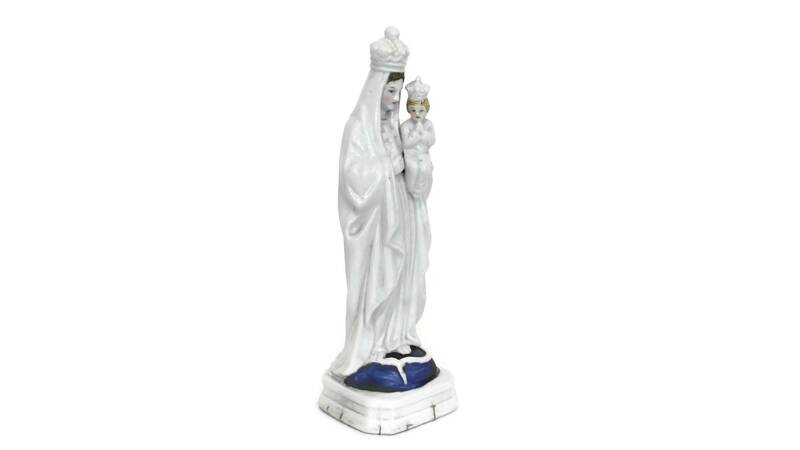 A beautiful French antique porcelain Madonna and Child statuette dating from the early 1900s. 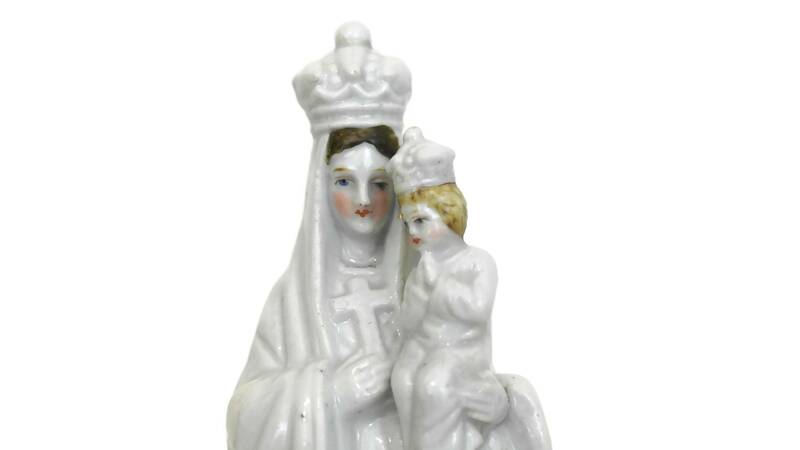 The Virgin Mary and Baby Jesus figurine has been cast with fine details and has been delicately hand painted to give a charming expression to the two figures. 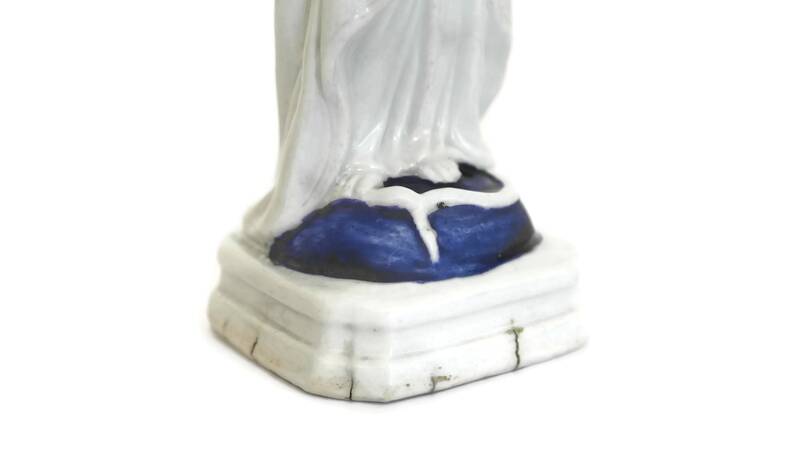 7.2" tall x 2.3" Wide x x 2.3" Deep (18,5 cm x 6 cm x 6 cm). 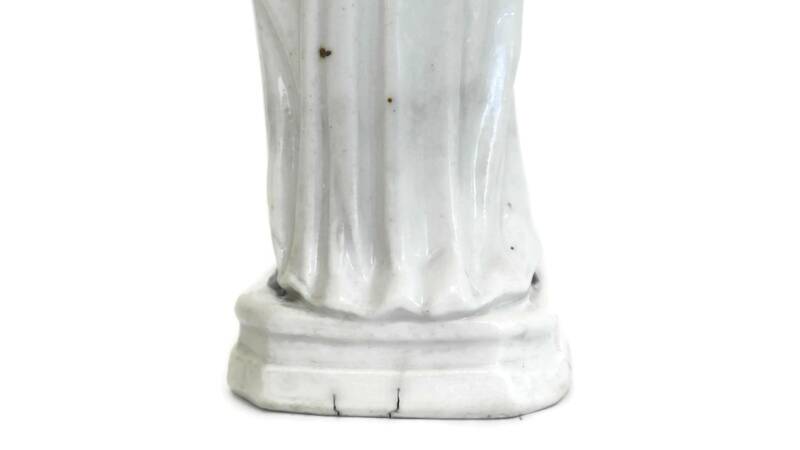 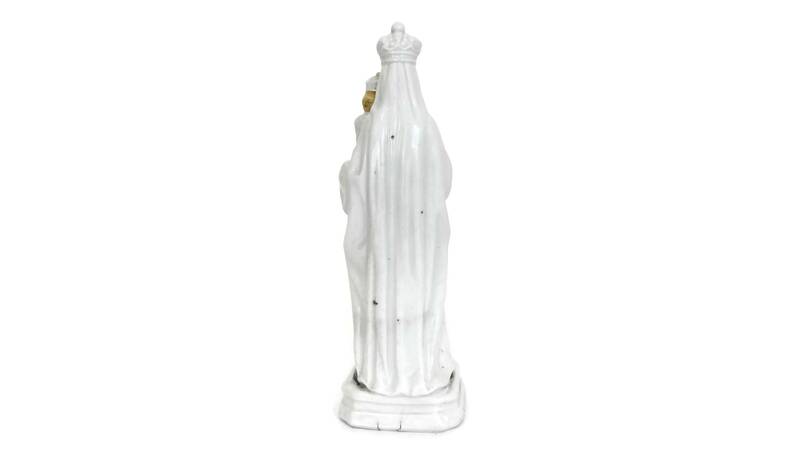 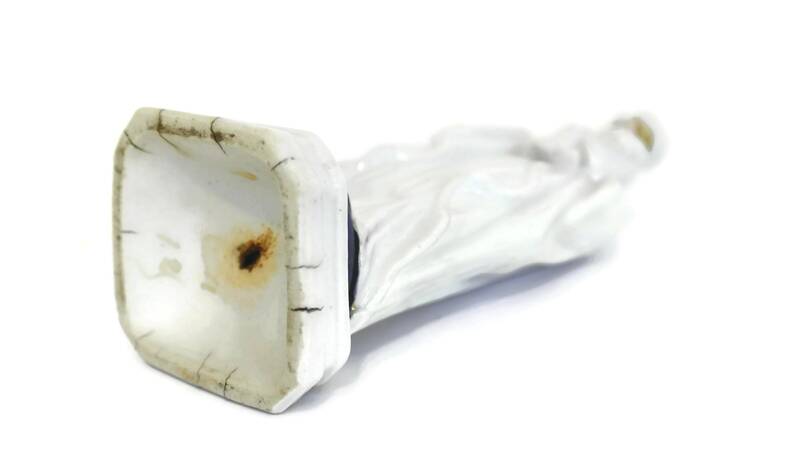 The ceramic Madonna statuette is in good antique condition with some signs of age and wear including kiln firing imperfections to the base. 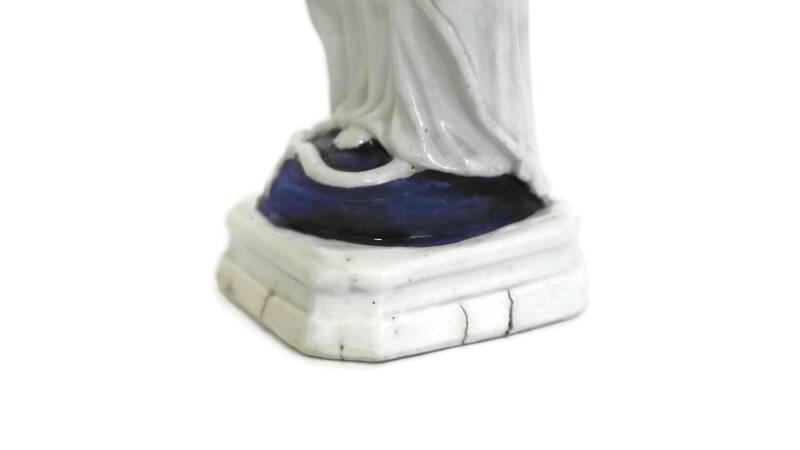 There are also some small dark sport to the glaze in places.